We are James and Jessica Carter, a young innovative couple who love God and love people. Our desire is to see people live the life God has ordained them to live. It is our belief that your marriage can survive the difficulties of everyday life. Join us as we invite you into our conversations about balancing life, love, ministry, family, business, and music without sacrificing your marriage in the process. We pray that you are impacted by the God in us! 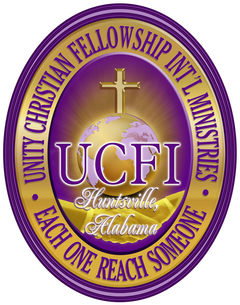 Unity Christian Fellowship International Church is a place where we promote unity in the Body of Christ as we build a relationship with God. Our mission is to reach and harvest lost souls for Christ and teaching the Body of Christ how to effectively apply God’s Principles to have victory in every area of our everyday life. You’ll discover that our passion is to provide a place where people just like you can have a life-changing experience with God. Upon entering you will feel God’s presence of love, joy and peace fill your heart. 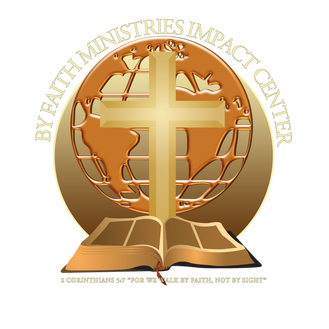 By Faith Ministries Impact Center’s objective is to teach and preach the Word of God so that all can gain an understanding. We have been commissioned to facilitate a healthy atmosphere for God’s people to be healed, to be restored, and to walk out God’s plans for their lives. By Faith Ministries Impact Center is a place of refuge for the hurting, abused, addicted, misunderstood, forgotten and especially those who have been wounded by the church. It is also a place of celebration for those who have accepted Jesus Christ and diligently working to make disciples. Our goal is to teach, train and release God’s chosen vessels to continue to add on to the universal church daily.